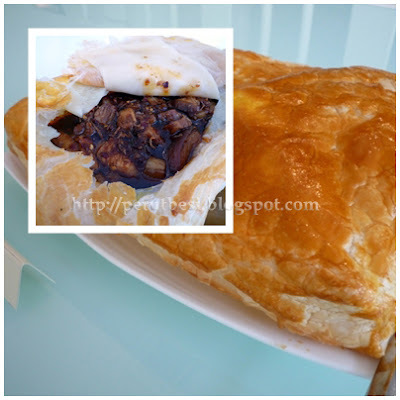 Overall comment: Interesting fusion bak kut teh, where you'll find "bak kut teh" meat in not only soup, but the dry version in pies & burgers too! The restaurant features a contemporary classic interior - something traditional, yet with a modern touch, in line with the quick-evolving society. The restaurant comes to live with a vibrant mix of white, red, & dark brown colors, giving the usual Chinese-style a modern twist. They even have an alfresco balcony seating with wooden shades & specially designed lanterns to give the restaurant a "Chinese-feel', especially in the evenings when it's lighted up. This is a light snack/dish where no meat is served with the soup, just mushrooms. I found the soup a little too salty for my liking. 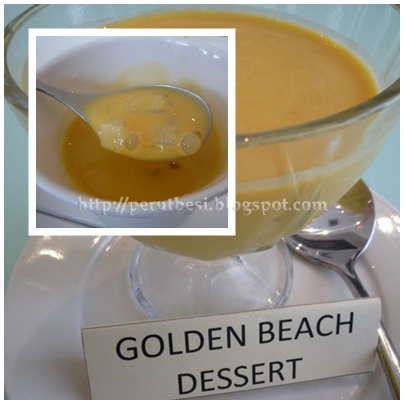 It was also thicker than the usual "bak kut teh" soup, so I personally didn't enjoy this as much as the pumpkin soup. 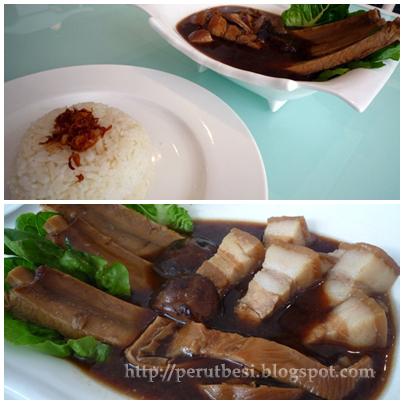 I would much prefer the usual herbal-infused "bak kut teh" soup instead! This is a new dish & is not in the menu yet. I reckon it's an experimental dish, which I personally thought was way better than the J-Soup in terms of taste & "texture". 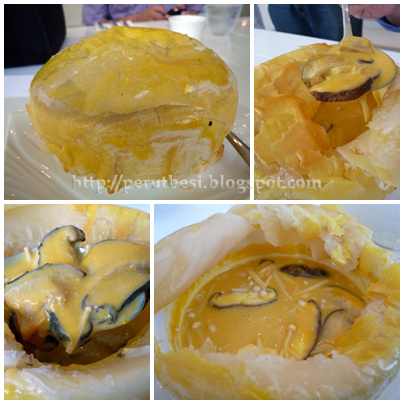 It's more creamy than starchy & although some of us reviewers found that the mushrooms didn't go too well with the pumpkin soup, I personally liked it (I love mushrooms!). The soup had mushrooms in abundance! 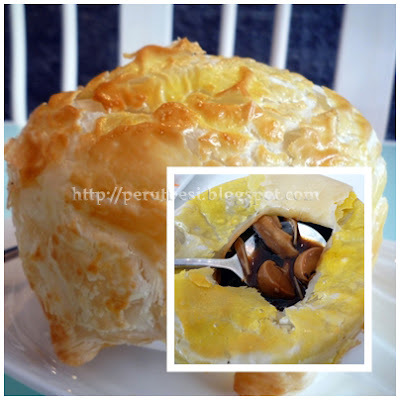 Expect some sweet, creamy soup with some mushrooms for chews, plus lovely puff pastry to dip into the soup. It's best eaten warm & it feels like the type of soup you'll long for especially when you're feeling down/under the weather. 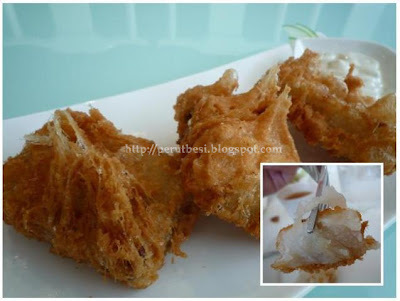 It was "finger-licking-good" - best eaten with your bare hands! This dish isn't in the menu yet. I'm a great fan of drunken chicken, all because I love the taste of Chinese cooking wine :) J Tean's drunken chicken is actually above average (let's not compare it to home-cooked). The chicken pieces were tenderly bathing in delicious gravy of adequate ginger & Chinese cooking wine. The portion served was also quite generous. The only set back was that this dish tasted slightly too salty for my liking. Master Tean said it's because of one particular chef who somehow prefers salt-ier food (Master Tean has already advised the chef to put less salt, so I'm looking forward to less salty food at J Tean Kitchen!). 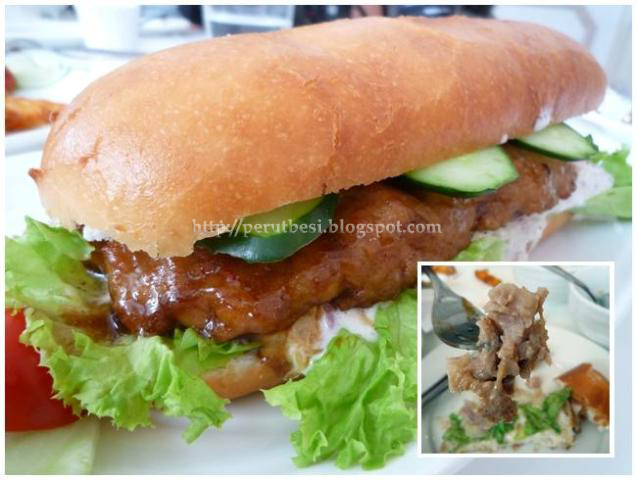 *thumbs up* Tender & juicy chopped (not minced) chicken with burger buns! I like! I'm looking forward to order this from the menu in the near future as well...oh ya, this one was slightly pepperish. I guess by the time the burgers were served, I have eaten so many dishes that my tongue & taste buds just malfunctioned! This, believe it or not, was DA-BOMB! 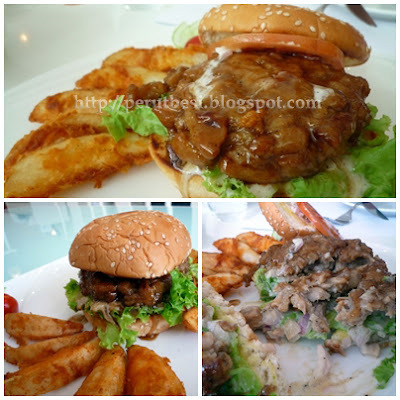 It's probably my favourite among all burgers & rank #2 among all the dishes that I sampled that day. The patty's same as the pork burger, but longer. The best & most brilliant part was the "burger bun" - Deep-Fried Man Tao! Awesome man...the crispy-on-the-outside-soft-on-the-inside man tao that has a slight sweet taste goes SO well with the burger patty. Oh, I can't wait to have this on the menu!! I give credit to the crispy batter, but I didn't enjoy this very much. I felt that the radish cake was slighlty "floury" - more flour than radish & a little "stiff". J Tean Kitchen served this with mayonnaise instead, but I provided my personal feedback that such a snack should go with sweet sauce (甜酱)/home-made chili sauce instead of mayonnaise. As I am not a fan of sweet food, this was way too sweet for me. 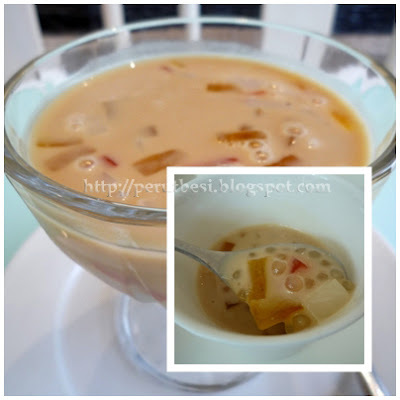 It's gula Melaka with coconut milk & colored jellies & sago. I prefer the next dessert. I'm glad to have met this interesting business owner :) Wishing him successful years in this business! I'm looking forward to head back there for their burgers & the J-Porky Pie. 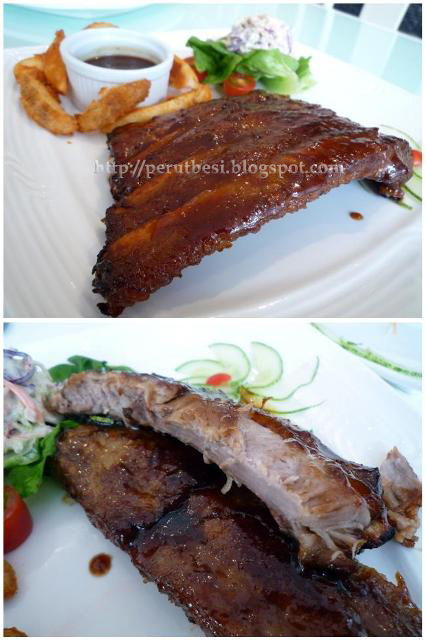 Oh, not to forget, the Curry Ribs Pasta as well :) Anyone interested to join me? Thank you, AMBP for the pair of passes to the Gala Premier of "Magical Musicals"! I was really happy (probably ecstatic) when I found out that I was one of the 'winners' of the contest. 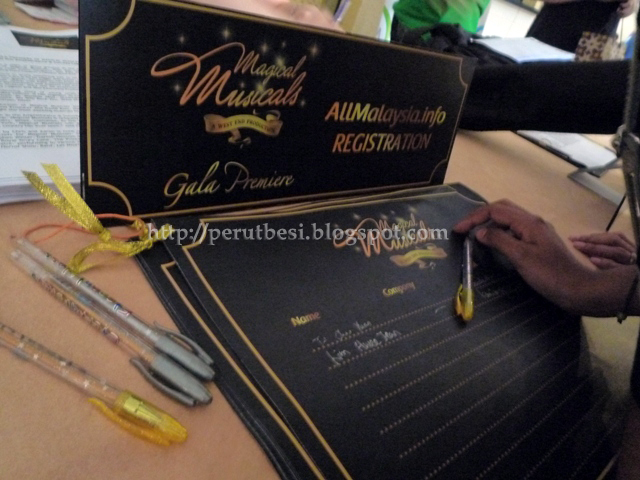 I couldn't even recall participating nor could I recall what I did to win the passes! Hahaha...I think all I did was just to indicate my interest to attend the musical & walla! I got the tickets :D Hurrah!! 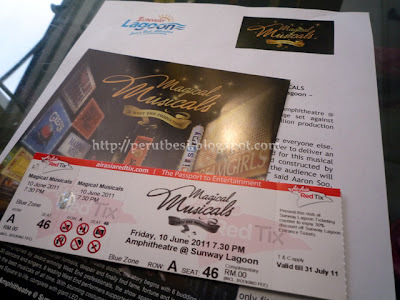 I must say that the musical was a spectacular one (it's my first time to a musical so I've nothing to compare it with)! Great casts & a very enjoyable performance. 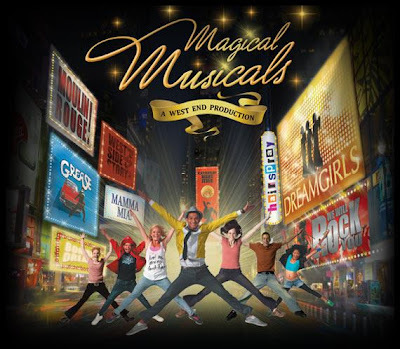 I'm too un-bothered to elaborate on what this musical is about, so if you want to find out more, head to this site: Magical Musicals. One of the few set backs was the queuing up for the tickets as all of us winners did not know where the queue was! 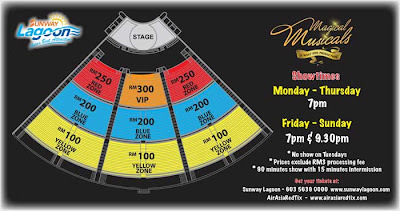 *grrr* We were informed through email that the ticket redemption starts at 6:30p.m. in front of Sunway Lagoon. However, the AMBP team were 'late' & there was no sign whatsoever to direct us to the actual place of redemption. Most, if not all of us stood blankly at one spot, in hopes that that's the actual line. It felt SO weird! Anyhow, I was glad that after queuing up for half an hour plus, I got my pair of tickets to the Blue Zone (Apparently there are some Red Zone tickets, but I didn't get it! It's randomly given out...booo...the earlier ones should be given the Red Zone tickets...). Complimentary tickets means no-extra-goodies :( We didn't get any event booklet as well...only the Media Representatives got it. I haven't been to the Sunway Lagoon Amphitheatre, so I didn't know that it was such a LONG walk from the entrance of Sunway Lagoon =.=" Some friends told me that there is a shorter route to the amphitheatre, but unfortunately, we were guided through the longer route. We even had to take the tram/train at one point to the amphitheatre area! I felt like I was at a night safari! We were LATE, TIRED, feeling HOT, & SWEATY *pffft* What's better is that I didn't know there's no air-conditioning at the amphitheatre....oh, joy. Yes, I was as blind & ignorant as a bat. The amphitheatre was SO empty when we walked in...only when the show was about to begin that it was FULL! I'm VERY glad that my 'lil camera could do such an awesome job even when I'm sitting in the middle (top) of the amphitheatre, not in front/bottom! And the stage was 'bursting in flames' during 1 of the songs! As at many musicals/plays/shows, you'll find the "hot dog guy" walking around, selling terribly expensive food that people will still buy. *bling bling* I like their glittery clothes! All of us got to our feet to dance & sing along...ah, it was fun! I wouldn't mind going for another musical. Better still to win yet another pair or several passes to such shows! :D I really thank God for this first win of the year...woohoo! I'm looking forward for more to come!! I just realized that the last time I blogged about this place was FOUR years ago (click here for the old post)! The style of my photography back then compared to how I capture photos these days are of VAST difference. I'm actually surprised & embarrassed that my photo-taking skills years back were quite bad....hahaha. 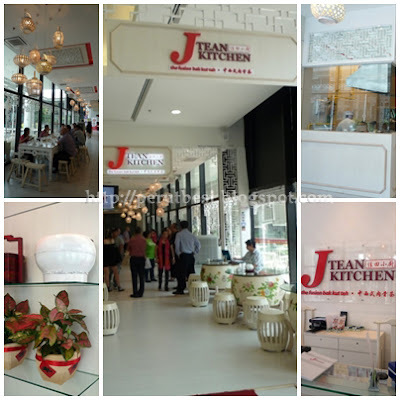 This restaurant serves decent food at affordable prices, so no worries about quality of food & whether it is wallet-friendly :) They have a good variety of Western & Asian food here. 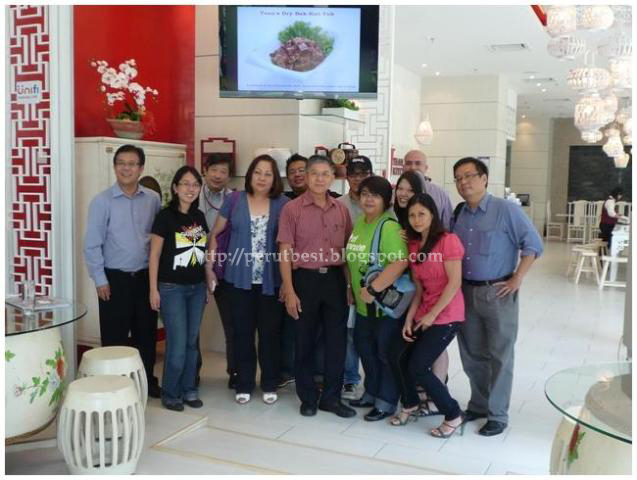 Apparently, many foreigners drop by during lunch hour for the claypot loh shu fun! I've yet to try that. Aaron's dad treated us to dinner (again! so "pai se"...) & we had a good time indulging in the sumptuous meal. Thank you!! I was quite surprised that the oxtail soup is slightly spicy. 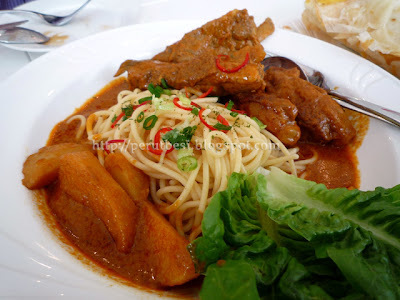 I think they added some paprika or maybe chili powder to enhance the taste of the beef soup. The broth is flavourful & goes well with garlic bread. Yes, this is actually a side order. Quite a nice snack to have....haha.. It's every other basic seafood you can find on this platter (except crabs). If you're a seafood lover, this platter is definitely something you won't want to miss. According to my dad, such a dish best suits a "China-man" like him. 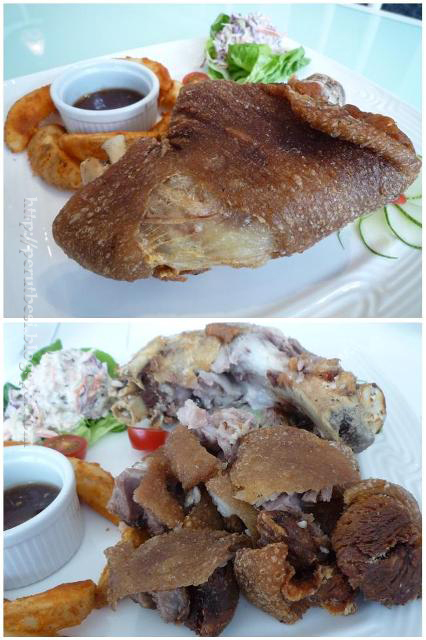 You can't go very wrong with the basic deep-fried chicken chop & some oriental-style brown sauce. My dad said the one he had years back in KL was nicer (and he said he could also cook a better Hainanese chicken chop than Bayleaf's!). Business Hours: 12:00p.m.-3:30p.m. & 6:30p.m.-10:30p.m.